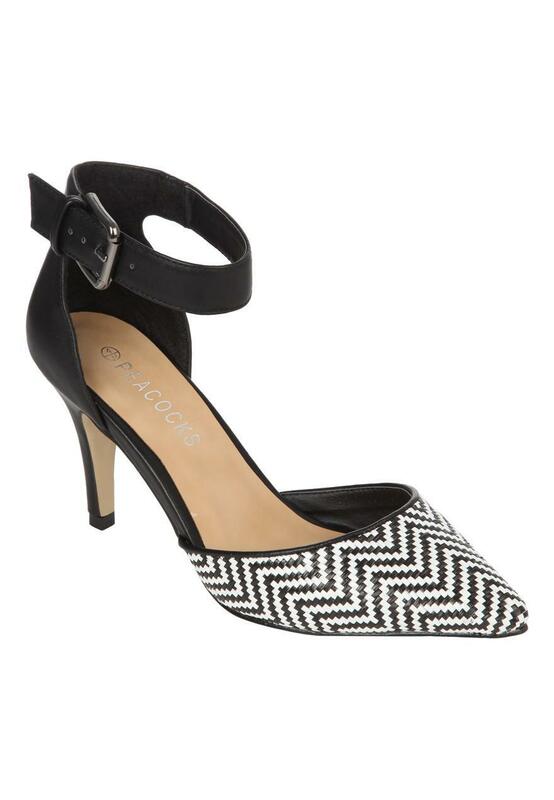 Get a glam office look in these monochrome pointed heels with around the ankle strap. Perfect worn with smart trousers and pencil skirts. Keep on trend with this chevron style pattern as seen everywhere on the catwalk right now,.